Do you want to be the next AirAsia Allstar? If yes. Then you are in the right place. Yes, Aviation Dreamer allows helping you to search Aviation job and aviation Interview tips. which will update you about aviation interview schedule. 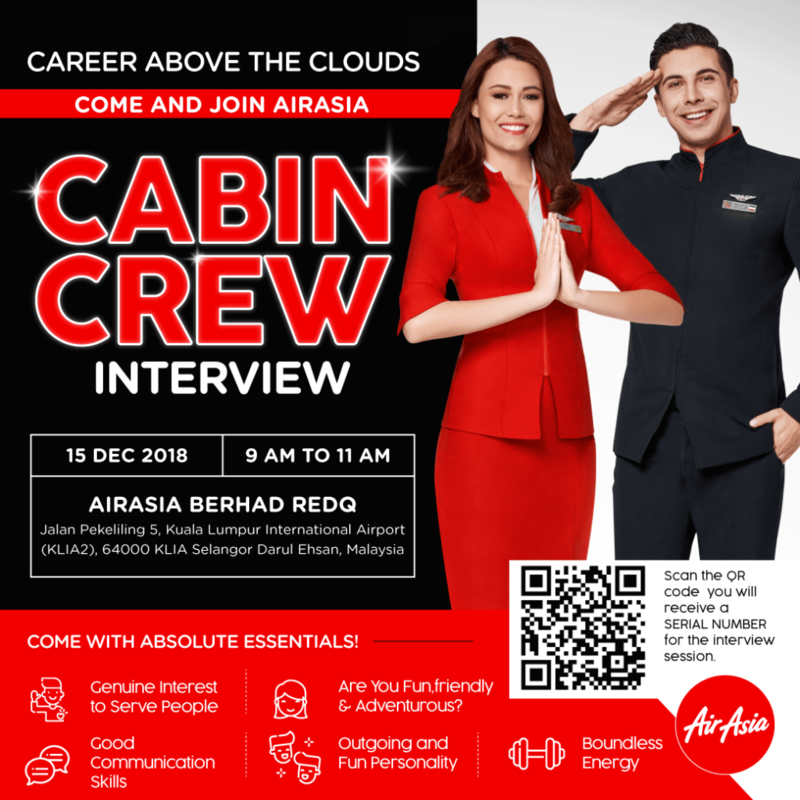 Today I am gonna inform to all Philippian’s youngsters to make Air Asia Career. 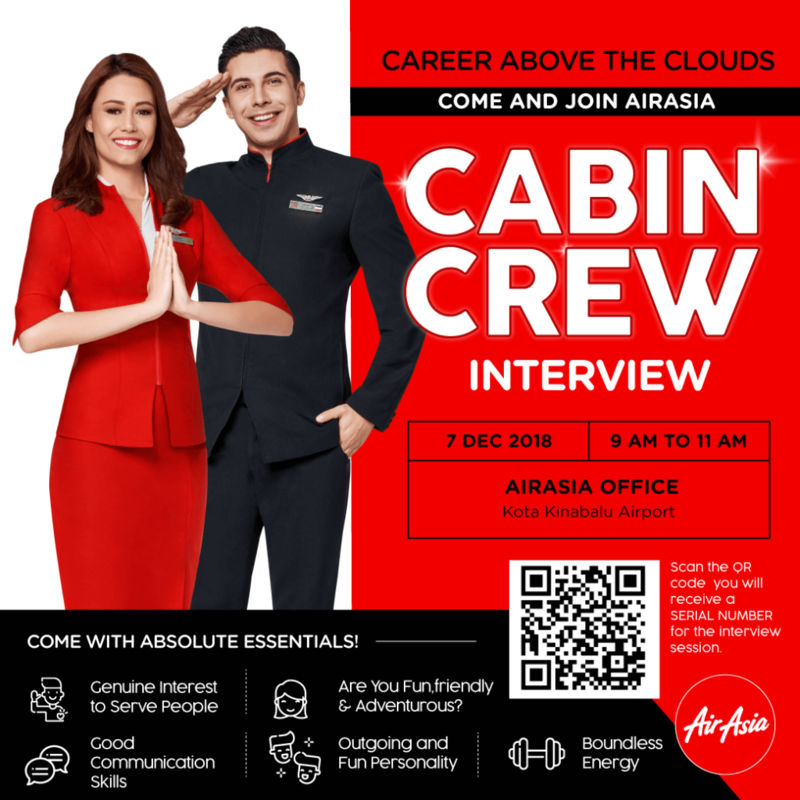 Yes, here you will get A-Z information about Air Asia cabin crew walk-in interview on 11 Aug 2018. So, please check the below details about Interview – Male and Female both can apply. Walk-in Details are mentioned in the Photo. So please check out the instruction of the picture to attend the walk-in interview. Only Filipino can attend this interview. You have to carry Original and photocopy of your national ID and passport. All the applicant should complete their college 2nd year from any recognized board or university. Applicant should be fluent in English and Tagalog. You have to carry original and photocopy of your higher Education with a transcript. Must have TOEIC with 650 Score within 2 years. If you are a Graduate from any disciplines are encouraged to apply for this position. Preferred for a valid NBI(National Bureau of Investigation) clearance. Male and Female both have to wear office attire. Ladies can wear the knee-length skirt or dress with full makeup. You can see a QR code given on the picture. Just scan the QR code and then you will get a serial number. Which will be needed during the interview day. It’s like a registration number. Well, that’s about it and I hope I didn’t miss any important step to explain. Good luck to all of your future in AVIATION DREAMER. You can Airlines cabin crew benefits and advantages by clicking here. Thank you for visite AVIATION DREAMER website and to read more articles related to aviation job check out on the bellow – Aviation Interview Question List for all. Wait, what do you mean only filipino can attend the interview? Is it written somewhere?